The Slammin’ Salmon comes to Blu-ray with a 1080p VC-1 video presentation. The movie’s lower budgets do show with the high-def transfer, but to be honest I was actually very surprised by the overall look of the movie. The film features a very nice level of clarity that DVD just can’t be compared to. The film has a nice level of depth and a generally crisp image. Colors are strong and certainly pleasing, they add quite a bit to the high-def experience. Black levels are also quite satisfying, staying quite inky throughout. The level of detail isn’t always as sharp as I would have hoped, but this likely has to do with the way the movie was filmed over anything. While certain moments do lack detail, rest assured that this is not due to DNR or Edge Enhancement. The movie looks good and I really don’t think it could have looked any better if at all. The Blu-ray release is an easy improvement from standard definition and there is no way one could confuse the two. The high-def presentation does have some slight disappointments (as mentioned), but the Blu-ray presentation just presents those downfalls accurately. 7.5/10. An English 5.1 Uncompressed PCM audio track is the lossless option, also included is a Dolby Digital 5.1 audio track. Optional subtitles include English SDH and Spanish. Like for most comedies, the mix on this release is quite front heavy. Dialogue is key in this film and is presented front and center, but always stays crisp and clear like a typical new release. The film’s music and effects also sound quite nice and vary in location. The film’s audio effects do make use of the surround speakers during busier restaurant moments especially, creating a semi-believable audio experience. The film’s music while generally front heavy does expand nicely throughout the surround speakers from time to time. To be honest this makes is quite satisfying for a film like this. It is hard to expect reference material out of a film that just doesn’t call for it. While it may not compare to the best audio tracks on Blu-ray, the uncompressed audio experience is certainly fitting. 7/10. With Writer/Director Kevin Hefferman and Writer/Actor Steve Lemme. With Writer/Actors Jay Chandrasekhar, Paul Soter and Erik Stolhanske. The cast of the film talks about their real-life restaurant experiences while traveling in a van. You can’t miss this hidden feature as it isn’t really hidden. While scrolling down the extras, under ‘theatrical trailer’ a fish will appear. 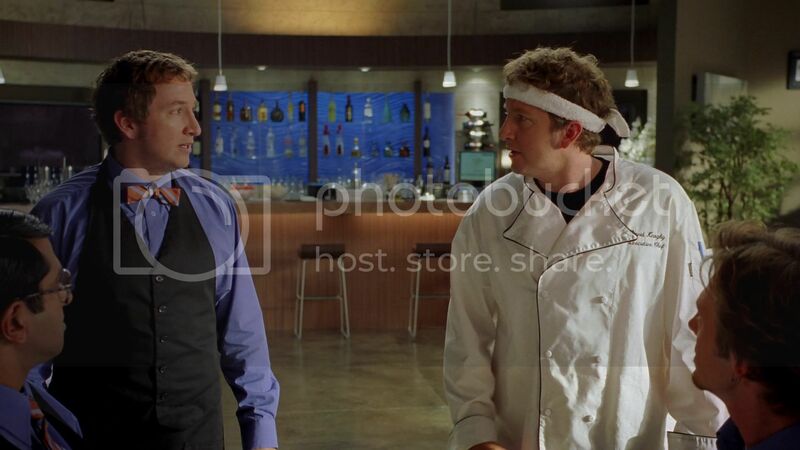 Click the fish to view a hilarious introduction from Paul Soter for a live Broken Lizard show. The extras on this release are entertaining. I previewed the audio commentaries and it was filled with discussion which is great. The Hellish Kitchens featurette is a bit dumb; I wish a real behind-the-scenes featurette was included. Overall the extras are fine, but do leave a bit to be desired. 4/10. The Slammin’ Salmon comes from Broken Lizard, the creators of Super Troopers and Beerfest. Super Troopers is hilarious, but didn’t feel the same way about Beerfest. 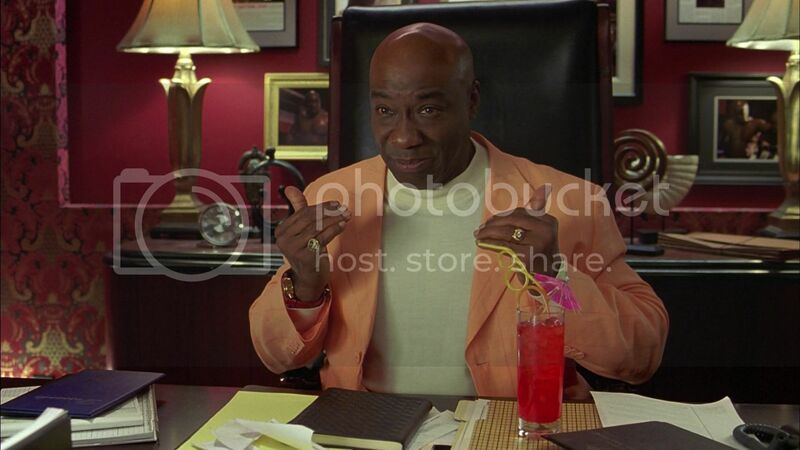 The film stars Michael Clarke Duncan as Slammin’ Cleon Salmon, former Heavyweight Champ turned high-scale Miami restaurant owner. Unfortunately for him he is in serious debt to a group of Japanese thugs. Once the challenge is set, the wait staff gets serious in what becomes a hilarious series of events throughout the night. The film is wacky, but that is what I really enjoyed about it. The humor while random at times is absolutely hilarious. The movie features a very likable cast and a very simple but very amusing storyline. I really had no idea what to expect, but seeing as it didn’t receive a mass theatrical release it did have me worried a bit about the quality. Which had me even more surprised by the time I finished the movie, it isn't a comedy classic but certainly much better than the average comedy now a days. 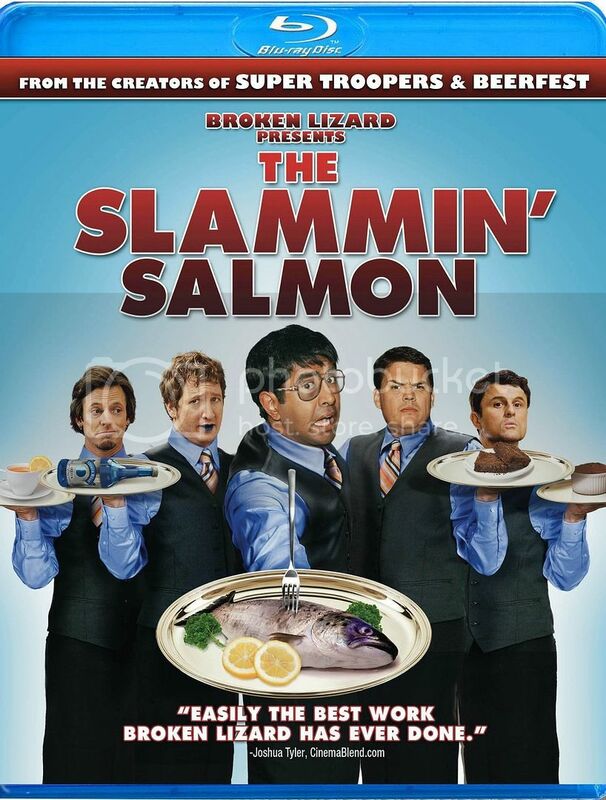 If you are a fan of any past Broken Lizard films, you should definitely check out The Slammin’ Salmon. The movie is one which features plenty of laughs and is just a good time. 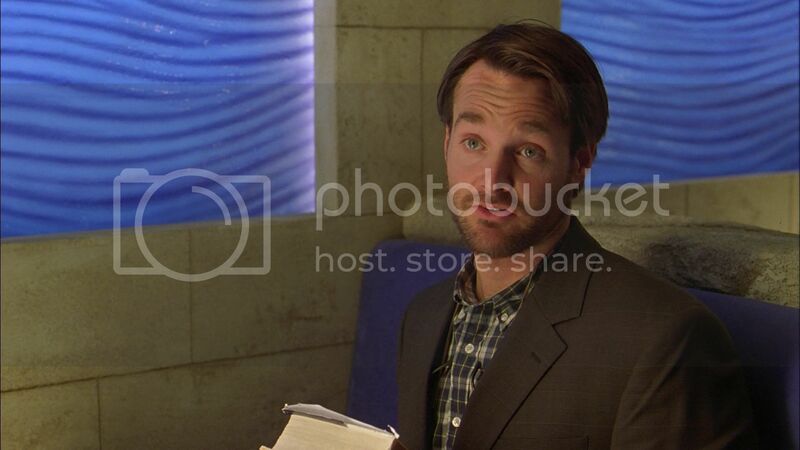 The movie features plenty of dumb gags, but at least it’s dumb in a very intentionally funny way. 8/10.